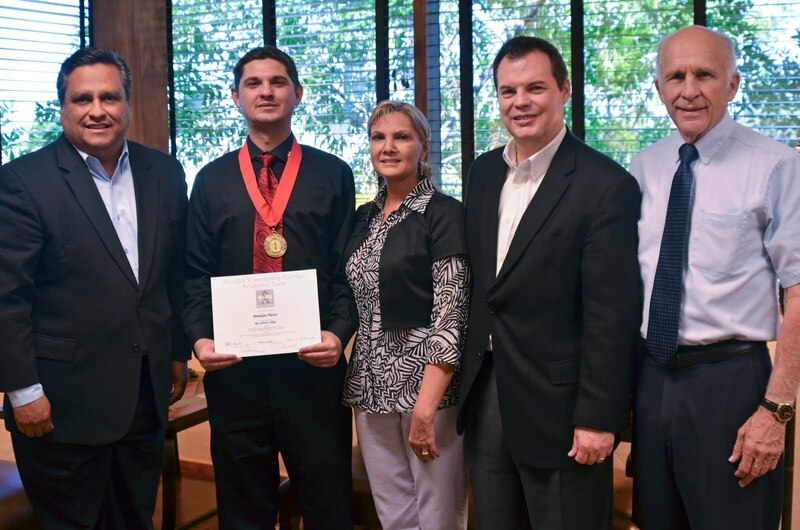 Congratulations to Brendan Pierce, a student at Rio Salado, who was recently named 2011 Coca-Cola National Gold Scholar. In addition to completing two associate degrees with a 4.0 grade point average, Pierce, an economics major, serves as president of the Alpha Theta Omicron chapter of Phi Theta Kappa and is a contributing writer for the organization’s student newsletter. He volunteers at a local animal shelter and considers himself an animal rescue activist. The Coca-Cola Community College Academic Team is sponsored by the Coca-Cola Scholars Foundation. Each year, 50 students nationwide are selected as Gold Scholars and receive a $1,500 scholarship. Silver and Bronze scholars are awarded $1,250 and $1,000 respectively.